Russia's hybrid military forces attacked Ukrainian army positions in Donbas 15 times in the past 24 hours, as a result of which four Ukrainian soldiers were reported wounded in action (WIA), according to the press service of the Anti-Terrorist Operation (ATO) Headquarters. From 16:00 and almost to 19:00 Kyiv time, the Ukrainian fortified positions near the village of Novo-Oleksandrivka were attacked four times, the enemy used various types of grenade launchers, heavy machine guns and small arms. "Our military fired back from infantry weapons. One Ukrainian soldier was wounded in that fighting at about 18:00 Kyiv time. In addition, the defenders of the village of Triokhizbenka came under enemy fire in the evening," the ATO HQ said. Read alsoUkraine reports 4 WIA's amid 12 enemy attacks in last dayIn the Donetsk sector, the number of fire provocations somewhat decreased. At about 18:00 Kyiv time, another Ukrainian soldier was wounded in an attack on the Ukrainian positions by an infantry fighting vehicle near the village of Zaitseve. A heavy machine gun was also used. Moreover, the enemy used a machine gun near the village of Maiorsk at night. 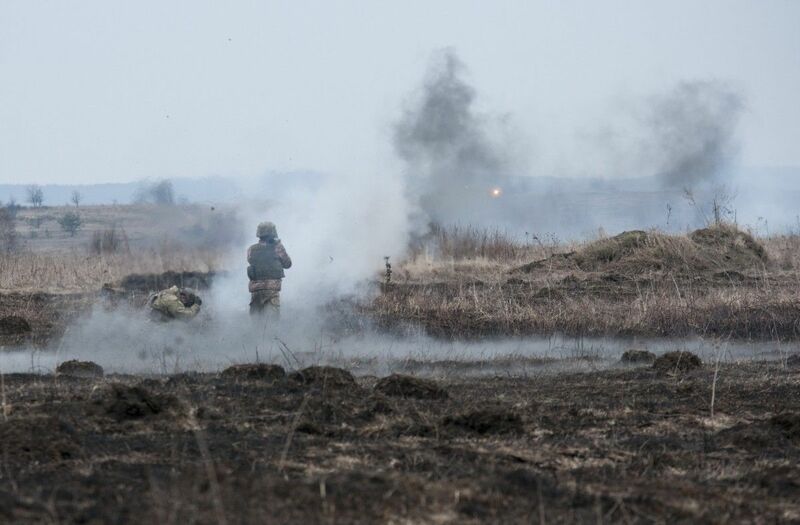 In the Mariupol sector, two defenders of the village of Shyrokyne were wounded amid shelling of the Ukrainian fortified positions in the afternoon. In the evening, the occupiers opened fire from anti-tank grenade launchers and heavy machine guns near the villages of Starohnativka and Talakivka.